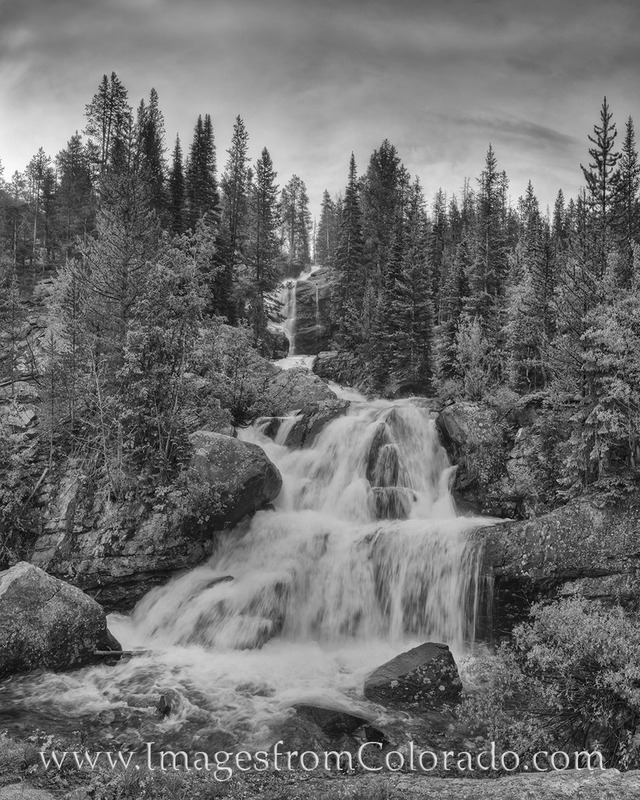 About 5 miles into hike to Lone Eagle Peak and Mirror Lake, this nice little waterfall offered a place to rest, hydrate, and take in the beautiful surrounds in the Indian Peaks Wilderness of Grand County, Colorado. We would not linger long, though, as we still had three more miles to reach our destination. Photo © copyright by Rob Greebon.